Callahan, Magee’s manager, said Ireland will hail a new champion tonight. Challenger Magee looked in tip-top shape at yesterday’s weigh-in at the Europa Hotel, coming in two pounds under the 13 stone 8lbs. 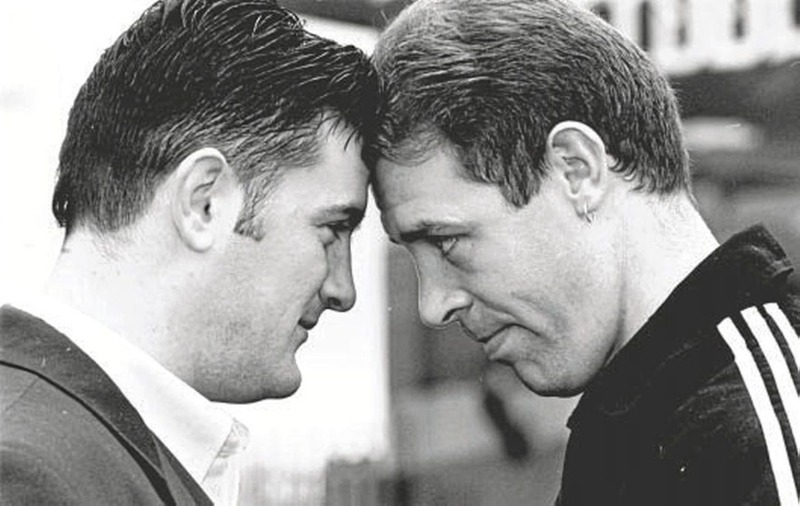 Magee was lighter than the champion Corbett who weighed in at 13 stone 11lb. “Noel’s in great shape and the great blessing for him is his approach to this fight. “It’s the meeting of a man and a boy. Darren Corbett is a young man and he has plenty of time to go places in this business. Both fighters were in relaxed mood in the plush surroundings of the Belfast hotel and there were no hiccups. Meanwhile all local boxers lined up for their weigh-ins. Light-welterweight prospect Eamonn Magee (13 stone 6lb) is hopeful of bouncing back from his first career defeat recently. Magee headed off to the US recently for a two-fight programme but his unbeaten record was damaged after an unexpected loss to Jim Reid. ST MALACHY’S Belfast middle-distance squad yesterday returned home in triumph after a remarkable victory in the Penn Relays in Philadelphia. The four-man squad of Gareth Turnbull, Colm McLean, Conor Sweeney and Joseph McAllister beat off challenges from the cream of US, Canadian and Jamaican schools to win the U20 medley relay at the prestigious Philadelphia meeting. Seventeen-year-old Turnbull’s storming final 1600m leg of 4.02.5 helped the north Belfast school overhaul favourites West Springfield Virginia. The Irish international’s time for the classic mile distance was the fastest final leg in the U20 medley relay event during the 103-year history of the Penn State University competition. ENDA Gormley is a major doubt for Glen’s Northern Bank Derry senior football championship opener against Ballinderry on Saturday evening. The injury-plagued forward, who has already undergone cruciate ligament operations on both his knees, limped out of Derry’s challenge match against Mayo on Saturday - a game the Oak Leafers lost by seven points. 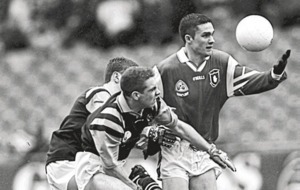 It is understood his left knee is the problem and that his chances of lining out against the 1995 county champions are remote. UUJ bid to complete a unique freshers football double today when they take on the Dublin Institute of Technology in the A decider at the Marshes in Newry. Jordanstown’s claimed the All-Ireland B freshers crown last weekend and logically speaking, today’s match should be a comfortable success for the northerners. The Poly had a routine semi-final victory over UCD a fortnight ago. That was against a UCD side which had defeated DIT twice this season. But UUJ president John Farrell insists that he is taking nothing for granted. “We don’t know a lot about them but I imagine they will have at least a few members of the DIT team which won the Trench Cup in Coleraine last month. “They have a big pick. There is over 23,000 students at DIT so we can’t be complacent.